Among the more accessible of the album’s sounds is one of the release’s four cover versions. Beck’s ‘Loser’ gets rebuilt from the ground up as a slow funk strut, naturally heavy on the bass, accompanied by a trill Fender Rhodes motif. With the addition of fine electric guitar runs, things slowly descend into a looser jazz groove, with the band ending up pulling the best sounds from mid 70s Weather Report and Larry Carlton while tipping the hat firmly in the direction of slicker, shinier sounds from John Scofield. No matter how busy things seem to get, Ingvarsson holds a steady beat throughout, which makes an ideal base – and bass, of course – for either Olin’s Rhodes to work out a steady attack, or for Lindberg to throw out several wah-wahed shapes, aggressive, but yet often staying on the bluesy side. In the last few bars, everything subsides and with the rhythm section pushed to the fore, Ingvarsson noodles his way to a close with a sharp precision. A great piece of fusion in its own right…if not for the sleeve crediting Beck Hansen in the songwriters credits, you mighn’t recognise it as that ‘Loser’ at all. That, of course, isn’t necessarily a bad thing. More tight funk elements provide the core of ‘Take Cover’, a workout driven by hard slapped bass and an appearance of guest horns. Although only two horns are present – trumpet and sax – between them they bring enough parp for three times the horn section. By the time they step down, some great improvisational work begins. Olin attacks the Rhodes in an aggressive style but never loses sight of a cool groove, Lindberg throws out muted guitar chords in the manner of a 70s cop movie soundtrack, while Ingvarsson wrings the hell out of his bass neck. With the arrival of a sax break, things slide from the tight and tuneful to the more carefree, but those who listen to a lot of fusion work and still get kicks from various Return To Fantasy and Weather Report discs will almost certainly be in their element. While the album is not short of good material, it is perhaps this track that shows best the camaraderie between these musicians. There’s a reasonable amount of improvisation within the featured solos – enough to make you believe they could have gone on forever; enough for the abrupt end at just shy of six minutes to come as a surprise. Also recommended listening, though showcasing the band in a more laid back environment, ‘Afrotoo’ shows off a wholly comfortable musical gathering. With a rimshot drum sound, Fredriksson brings in the band with a minimum of fuss. Tapping into a slow groove, the bass dances, before heavily wah-wahed guitar lines bring a simple and distinctive melody and (later) a terrific, dirty sounding solo that is deeply rooted within 70s traditions. Linking all, the Fender Rhodes work is timeless, evocative of Herbie Hancock, but naturally, it’s Ingvarsson who impresses the most, especially when given a huge space to improvise a fuzz-based solo as the track’s centrepiece. A cover of Willie Dixon’s oft-covered blues jam ‘I Just Wanna Make Love To You’ seems partially misjudged. Firstly, it’s a little out of step with the sharper jazz notes from the bulk of the other material; secondly, Ingvarsson’s naturalistic vocal style lacks the gravitas you’d normally associate with this particular number. Given the talent within this musical unit it’s not a total misfire, though, and the second half of the track picks up considerably for an instrumental workout where our erstwhile bandleader throws out sharp notes, almost as if using his bass as a punctuating voice, while the organ fills space. It’s Fredriksson and Lindberg who really come alive though; Fredriksson attacks his kit with gusto – clearly appreciating the opportunity to inject some real rock force into his delivery, without ever losing sight of opportunity for some great jazz fills while Lindberg’s previously heard wah-wah also steps up accordingly. In a more classic jazz field, a rendition of Dave Holland’s ‘Blues For CM’ has an easy swing, driven by a loose drum line and noodling guitar. Before long, it becomes clear that the titular CM refers to the legendary Charles Mingus. This is most obvious by Ingvarsson’s shift from the electric to the upright bass. While he seems content to back the Rhodes and guitar sounds with a slow walking bassline, when given the spotlight, he proves equally adept in his approach to this more traditional jazz style. For his featured solo, his tone is faultless – almost with an elastic brilliance – and his dexterity shows the work of a man who understands the importance of melody even within showmanship. Keen eared listeners may also spot a couple of nods of Mingus’s own ‘Goodbye Pork Pie Hat’ creeping in the main riff. A definite highlight for smoother jazz sounds, the near seven minute ‘Snorkeling’ paints a musical picture of summer, as warm bass runs underpin an echoing Rhodes in a firm tribute to Herbie Hancock’s fusion sounds of the seventies. 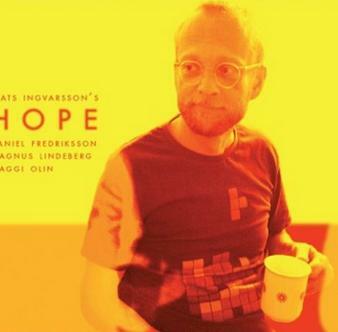 Throughout the piece, Ingvarsson’s bass rises and falls as if moving with a musical tide. The large absence of guitar helps give this number an easy charm – often focusing on the bell-like clarity of the Rhodes, while a guest muted trumpet calls a strong melody, much in the way Miles coloured his 80s classic ‘Tutu’. Again, those interested in the works of Weather Report – and to a lesser extent Stanley Clarke – will find a great deal to love here. The gentle comedown continues with a reworking of blues standard ‘When Did You Leave Heaven’ (as covered by Clapton, Bob Dylan and others), which at first appears to be another weaker offering. However, as it gains momentum, there’s much within to admire. Moving aside from Ingvarsson’s accented vocal (occasionally sounding like State Cows, due to a Malmo lilt), the music is lovely. In two distinct halves, firstly we hear a vocal only accompanied by bass, and once more, the hard and fluid approach Ingvarsson favours is likely to remind many of the great Jaco Pastorius, which brings very welcome sounds. The tune’s second half introduces the rest of the band, with Fredrikssen tapping out a gentle rhythm and Olin’s ever faithful Rhodes adding a sense of retro cool. From wobbly beginnings, this blossoms nicely, giving a sense of gentle satisfaction at the album’s close. Since Swedish jazz seems to get less exposure away from its home turf than many US releases, there’s always a danger that this disc might get overlooked. If you have the merest interest in jazz bass, classic 70s inspired fusion or jazz-funk grooves, this disc should appear somewhere on your radar. It’s not perfect, but there’s more than enough great material within to impress right from first listen, while some of the lower-key material should bring extra enjoyment upon repeat spins. This entry was posted in Album & EP Reviews and tagged beck, jazz, jazz fusion, mats ingvarsson, sweden by Real Gone. Bookmark the permalink.